Sitting alongside his family in ceremonies, Wakinyan LaPointe has heard the warnings for as long as he can remember. Lately, the dire messages have become increasingly urgent: Water must be preserved and protected. Unless that is done, all life on Earth is in danger. 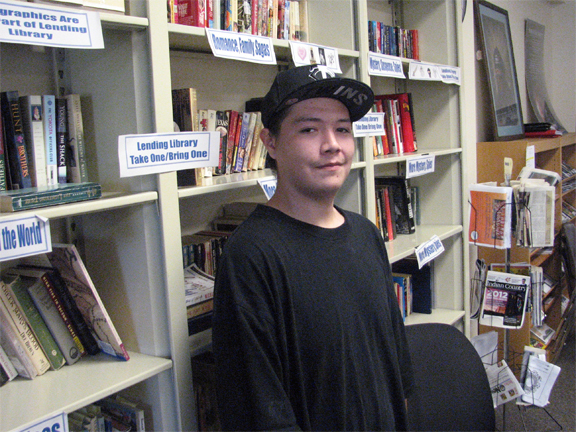 Wakinyan and his brother Thorne, 25, are college students and community organizers. 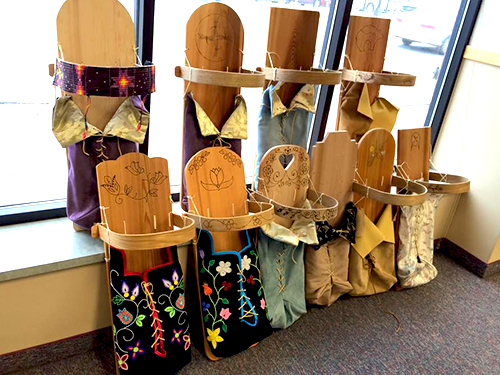 They have been instrumental for years in Minnesota-based water events such as the Healthy Nations river scouting expeditions, Mde Maka Ska Canoe Nations Gathering, the Four Directions Water Walk, and Mde Maka Ska Community Conversations. But after the recent death of an Indigenous rights leader in Honduras, the two men felt a greater sense of urgency to act on behalf of water, and the world’s Indigenous populations. 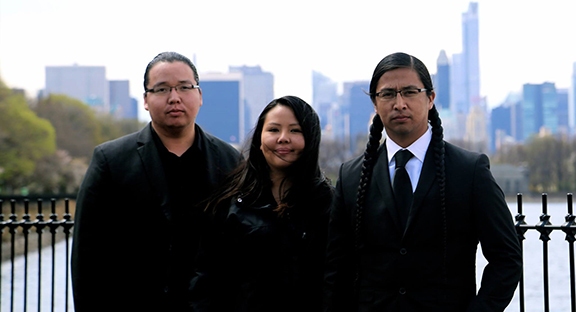 Along with their father LeMoine, mother Nancy Bordeaux, and sister Tiana, the LaPointe brothers conceived a plan to invite Indigenous leaders from around the world to Minnesota – the font of much of the Earth’s fresh water – for a summit, which they are calling Mni Wakan: A Decade of Water. Thorne and Wakinyan put their heads together and wrote a summons to the world’s Indigenous leaders. It came in the form of a formal statement, or in the lingo of the United Nations, an “intervention” on water. The brothers made plans to deliver it to the United Nation’s Permanent Forum on Indigenous Issues (UNPFII), which takes place each May in New York City. The LaPointes organized a successful fundraiser at the Minneapolis American Indian Center and raised enough for all five of them to travel to New York City. 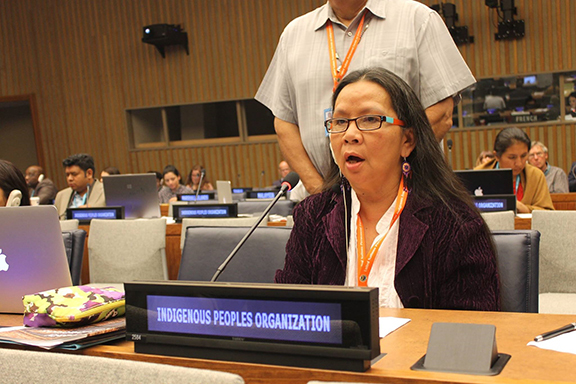 Thorne and Wakinyan would attend during the first week of the UNPFII, Nancy, Tiana, and LeMoine the second. The LaPointes descend from a long line of diplomats, warriors, and treaty men who have left current and future generations the responsibility of restoring the Oceti Sakowin, the Lakota Nation, to greatness. Nancy’s family tree includes Yellow Cloud, who fought against Custer at Little Bighorn; LeMoine’s includes Tall Mandan, a chief and medicine man who was a signatory to the 1851 and 1868 Fort Laramie Treaties. Upon arrival at the United Nations in Mid-May, the brothers were met with the cold reality of international politics. Although they have visited the world body several times in the past, this was the first time they had attempted to deliver a speech. They waited and waited each day but did not have an opportunity to read their statement to the Permanent Forum. With the arrival in New York of their mother, sister and father, the brothers had a second chance. Nancy, Tiana, and LeMoine however, had no better luck maneuvering themselves before a live microphone. So Nancy, whose work in Minneapolis focuses on empowering women, did what she encourages everyone to do when they need help. She prayed. “I thought about my sons and how they had written this statement. I thought, they didn’t get a chance to read it, and then saw myself up there reading it on their behalf,” Nancy says. For the second day in a row, she then went to the scheduling desk and asked to be placed on the agenda. She faced the same woman who had denied her a time slot the previous day. “All of a sudden she seemed to have a change of mind said, ‘OK, I’m gonna put you on the list and you’re gonna be high priority.’” Nancy was told to return to the Permanent Forum the next morning where she would have an opportunity to address Indigenous delegations from around the world. Water Connects us all. Without clean water there is no life. Mni wakan, water is sacred. Mni Pejuta, water is the first medicine. Many indigenous nations believe and know they were born from water. Yet, indigenous peoples remain the few who remember these original instructions regarding our intimate relationship with water. We do not separate the creator from creation. We are facing a world-wide water crisis unlike anything we have ever seen before. Water is being consumed at an alarming rate, used unsustainably, and is contaminated more and more with each passing day. Indigenous people, communities, and Nations retain the wisdom and traditional ecological knowledge that is most urgently needed to restore a more sustainable future of water… Indigenous peoples and Nations must be seen as central to all activities involving water, at all levels, in that they provide the traditional ecological knowledge which is the last remaining frontline for the protection of water. Indigenous led water initiatives, such as the upcoming Mni Wakan: Decade of Water summit, to be held in central Minnesota, USA, in April 2017 must be fully supported as a matter of Indigenous water rights implementation. Therefore, we invite the appropriate United Nations representatives, and Indigenous peoples to attend this global Indigenous-led water summit…to close we celebrate the life of Berta Caceres of Honduras, who died protecting the sacred river and her peoples; water is life.